Millions of children struggle with reading-and even more struggle to understand exactly what they're reading. 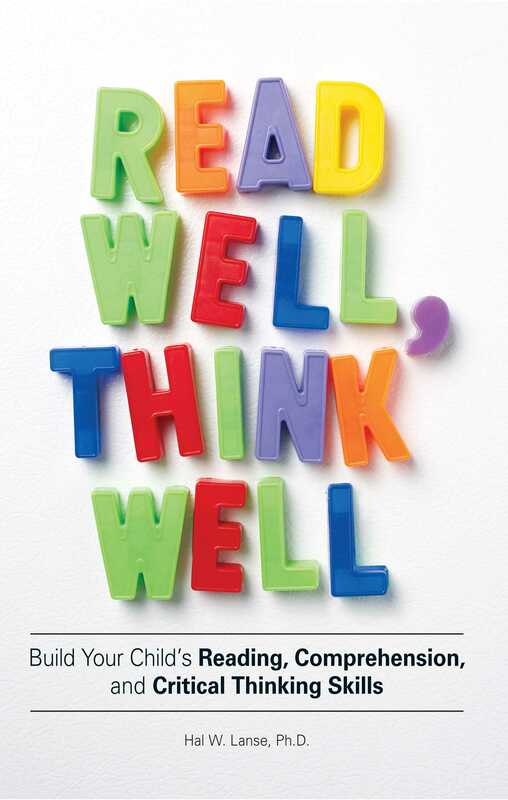 Read Well, Think Well will help you to teach your children to build the essential reading and comprehension skills they need to succeed in today's demanding school system. Teacher trainer and literacy specialist Hal W. Lanse, Ph.D., provides the necessary knowledge, strategies, and exercises that will turn your kids into first-rate readers and thinkers. Read Well, Think Well-the ultimate guide to secure your child's academic success. Hal W. Lanse, Ph.D., is a premiere teacher trainer in New York City, specializing in middle-grade and young-adult literacy. He is the winner of the 1997 Frank W. Dilley Award, Walden University's annual prize for outstanding doctoral dissertation. Dr. Lanse, a consultant with the UFT Teacher Center, trains teachers in current literacy research and shows them how to turn the research into daily classroom practice. He has also taught many parent workshops for the United Federation of Teachers. Lanse lives with his teenage son, Kenny, in New York, NY.